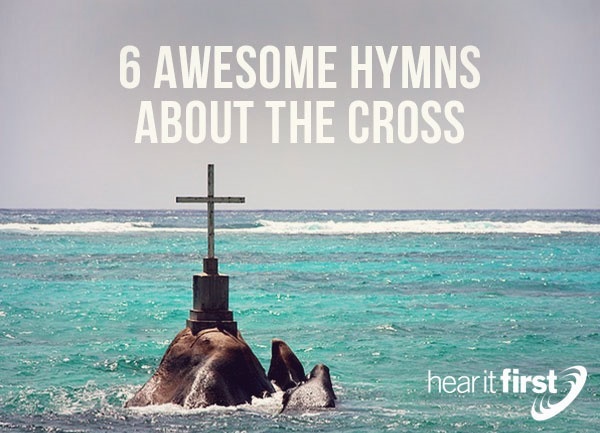 Here are six powerful hymns about the cross. William Cowper is relatively unknown hymn writer but his very stirring hymn, “There is a Fountain Filled with Blood,” is not. This hymn, published in 1772, vividly portrays how “sinners plunged beneath that flood lose all their guilty stains.” That’s the flood of blood that was shed for us at Calvary and was said that Jesus Himself “entered once for all into the holy places, not by means of the blood of goats and calves but by means of his own blood, thus securing an eternal redemption” (Heb 9:12) and singing of the thief on the cross, “though vile as he, wash all my sins away.” That’s not just amazing, it’s awesome. “Tell Me the Story of Jesus” is a very powerful song that focuses on the cross where “they nailed Him. Writing in anguish and pain. Tell of the grave where they laid Him” since “Love paid the ransom for me.” What greater love is there than to die for the ungodly, wicked sinners who were enemies of God (Rom 5:6-10)? Fanny Crosby, who was blind yet saw the glorious Christ, would not let blindness prevent her from pouring out her praises for Christ’s love on Calvary. Ironically, those who see that are without Christ are blind but the blind saint, Fanny Crosby, sees what they don’t. “Jesus Paid it All” by Elvina M. Hall, released in 1865, has such moving theology which sings, “Jesus paid it all, All to Him I owe; Sin had left a crimson stain, He washed it white as snow” and “now complete in Him, My robe, His righteousness” and someday, “My ransomed soul shall rise [since] “Jesus died my soul to save.” This song is the theme song of Through the Bible’s radio program with Dr. J. Vernon McGee, who has now been with the Lord since 1988. Dr. McGee and his “Bible Bus” are still moving after all this time. He took all of us through the Bible but the Bible went through us. The great songwriter, Chris Tomlin, is a great praise song but like “At the Cross,” it looks closely at the work of Christ on Calvary as he writes and sings that “there is a river. That flows from Calvary's tree. A fountain for the thirsty. Pure grace that washes over me” which is the very reason for the title of the song, as he sings, “I lift my hands to believe again. You are my refuge, You are my strength. As I pour out my heart. These things, I remember.” This would make a great hymn for Easter or Resurrection Sunday. “The Old Rugged Cross” written in 1912 by the evangelist and song-leader George Bennard, gives the listener an accurate portrayal of the cross itself. The images we see of the cross in churches or on church steeples with fine, polished brass or stained wood are not what cross was really like. It was roughhewn lumber that had large splinters on each side from the saws that sliced through the wood. That’s the “Old Rugged Cross” that our Savior suffered, bled, and died on. Some people where a cross around their neck but that’s like wearing an electric chair or a syringe where death-row inmates are lethally injected. Then, the cross was an “emblem of suffering and shame” but the sinner, made to flee to the cross because of their sins, will naturally sing, “I will cling to the old rugged cross, And exchange it some day for a crown.” Can you sing that it was “on that old cross Jesus suffered and died, To pardon and sanctify me?” I pray it is. There are so many other songs about the cross that I couldn’t possibly cover them all in one article. Songs like “Are you Washed in the Blood, Because He Lives, Lead Me to Calvary, Nothing But the Blood, Redeemed, There is Power in the Blood (love this one! )," and "When I Survey the Wondrous Cross,” so I apologize for not writing more about these but I thought I would at least mention them. The cross is foolishness to the world but for those who are being saved, it is the power of God unto salvation (Rom 1:16; 1st Cor 1:18).